It’s the festival of Colors! May God gift you all the colors of life, colors of joy, colors of happiness, colors of friendship, colors of love and all other colors you want to paint in your life. 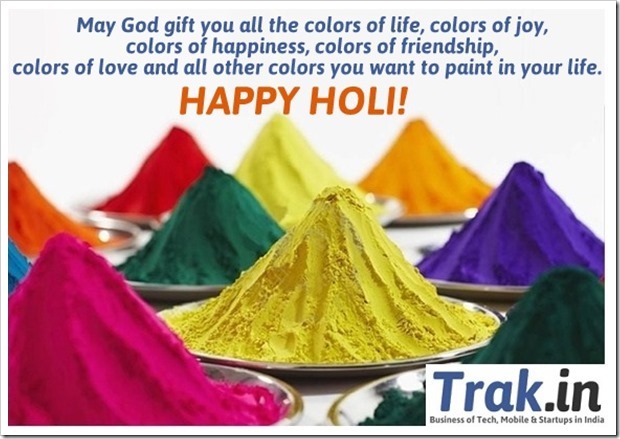 Happy Holi to all All our Trak.in Readers!